KCHD Outpatient Mental Health Services deliver comprehensive and holistic treatment designed to meet diverse needs of the child, adolescent, and adult populations. Services are strength focused, recovery driven, and vary in intensity depending on individual need. KCHD takes an integrated approach in all service endeavors, so that individuals with multiple diagnostic features may be served. KCHD clinicians consistently explore ongoing linkage with other community based ancillary services, while providing the individual with on-site mental health and substance abuse treatment. Services include, but are not limited to, individual, group, and family counseling; as well as psycho-education. 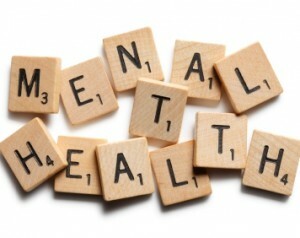 KCHD Mental Health and Substance Abuse Treatment Clinicians provide comprehensive mental health services to Kendall County residents of all ages and economic status. Individual, marital, family, and group treatment services are available; as well as psychological testing and psychiatric services. Services are provided by Licensed Clinical Social Workers, Licensed Clinical Professional Counselors, Master Level Clinicians, Certified Alcohol and Drug Counselors, and Mental Health Professionals. Consistently explore ongoing linkage with other community based services, while providing the individual with onsite mental health and substance abuse treatment. The culture, age, gender, sexuality, spirituality, language, and socioeconomic status of persons served shall be taken into active consideration with every service endeavor. Payment options of both Private Insurance for all individuals and a Sliding Fee for those residing, working, or going to school in Kendall County are available.